I DON'T UNDERSTAND ANYTHING HE'S SAYING TO ME!! PARADIGM SHIFT: “If you do what you’ve always done, you’ll get what you’ve always gotten” (Anthony Robbins). Therefore the time has come to change the way of learning languages. Experiencing the joy of understanding and of feeling understood is the number one driver of language studies. Thanks to a dynamic, fun, and interactive approach you feel yourself progress, which then gives you the desire to go further. Trying and making mistakes without inhibition is indispensable for learning to speak. These trials and errors allow you to refine oral language and to develop good automatisms. Therefore you must let go in order to learn a language. Do we think about it before we say: “Did I already ask him this”? No, it’s automatic. However, the elimination of the verb in the subordinate in Dutch or the word order in French is not always spontaneous. In our course, we are therefore going to develop a “reflex” language, a fluid expression, to stop preparing the phrase in your head before you speak. Each language possesses its own sounds. You filter out foreign sounds from those of your mother language, and you reproduce those that you do hear (which is why we have accents). Opening your ears to these sounds is going to improve the ease of listening and accelerate your progress. 1 + 2 + 3 + 4 = rapid progress. Yes! The objective is attained. Your needs are analyzed without commitment. 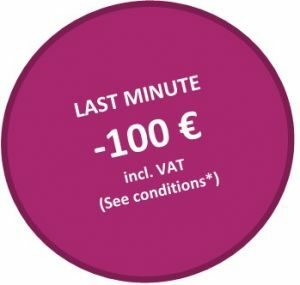 *Conditions for a reduction of 100€ incl. VAT : only apply to individuals who do not possess a VAT number and who enroll in an existing group of at least four participants with completed registration in an intensive or non-intensive group course of 30 hours. This reduction is applicable until January 31, 2017. This reduction is not applicable if the aforementioned group is not already composed of four fully registered participants at the time of enrollment. You must therefore be the fifth person to join such a group to take advantage of this reduction. A registration is finalized when the registration fee has been fully paid to Call International. This reduction is not applicable retroactively. That is, if there are not four fully registered participants at the time of your enrollment you do not qualify for this reduction, even if additional participants complete registration after you thereby bringing the total number of participants to five or more. In case of doubt, the dates of payment as listed in the Call International bank account will be used to determine the order in which the registrations were completed.